"There used to be a spring of water at a place called Marham, called Maid's Hole, and they said when I was a boy that to drink from that spring was a cure for the ague". Source: 'The King of the Norfolk Poachers', in Lilias Rider Haggard (ed. ): 'I Walked by Night' (Oxford University Press, 1982), p.21. Marsham Pits, allegedly similar to the early medieval iron workings in the Aylmerton and Weybourne areas, are said to have been made by rebels during the Norfolk peasants' uprising of 1381. Source: W. B. Gerish: 'Norfolk Folklore' (unpublished, 1892), p.44. 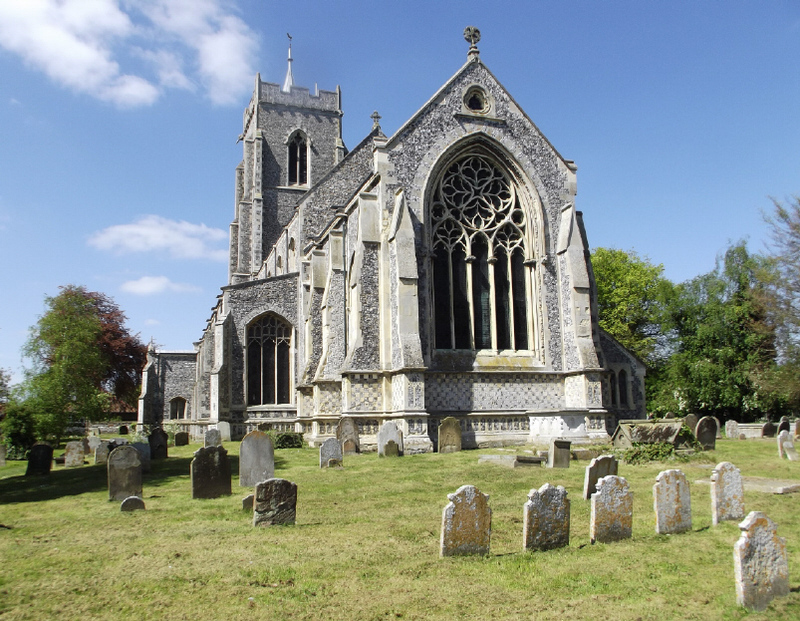 This, according to Basil Cozens-Hardy, was really "a Scandinavian doom ring, the meeting place for centuries of the inhabitants of the Seven Towns of Marshland..."2 The 'commoners' were supposed to have continued gathering here twice a year as late as the close of the 18th century. The mound too was a moot place, but at midsummer only; at Easter the people congregated at St. John's Gate, just over a mile to the north. The mound, called by some the Giant's Grave, may well have been a round barrow. Locals said a giant killed by Tom was buried there, with the cart wheel and axletree that were Tom's traditional weapons. Some called it Hickathrift's Castle, that it was hollow, and that Tom himself was buried there. For more details, and the full story of Norfolk's giant, see 'The Quest for Tom Hickathrift'. 1. Elizabeth Wortley: letter in the ‘East Anglian Magazine’ (Sept. 1955), Vol.14, p.656. 2. Basil Cozens-Hardy: 'Norfolk Crosses' in 'Norfolk Archaeology', Vol.25, p.324-5. 3. Information from Ms. Rosalinda M. C. Hardiman, former Curator of the Wisbech & Fenland Museum. According to locals, a few years before the village sign was erected something else was found pertaining to their own Norfolk giant. One or more slates were uncovered near the crossroads bearing writing that some have called Hickathrift's 'curse'. They apparently said: "Whomsoever cometh to smote or siege this fen with arms or ill intended shall leave it or leave it in pain or on pain of death for I Tom Hickathrift shall remain a guardian and beareth my right to defend." The slates, so it's said, were broken into pieces and scattered over Marshland so that Tom's spirit would continue protecting the area against those who would do it harm. The original site of St. Mary's church (TG454185) was supposed to be at the top of Church Lane, but like many others in British folklore, was mysteriously moved to its present location by the stones disappearing each night as it was being built. Source: W. B. Gerish: 'Norfolk Folklore Collections' (unpublished, 1916-18, compiled by William de Castre), Vol.4, p.126. 1. 'Norfolk Fair', Vol.2, No.3 (July 1969), p.18. 2. Pamela Brooks: 'Norfolk Miscellany' (Breedon Books, 2009), p.145. On the boundary of Moulton St. Mary and Cantley parishes was a 'cavernous hollow' known as the Callow (or Caller) Pit (some say it’s the tree-shrouded pond on the west side of the Southwood Road/Grove Road crossroads at TG394058), which in olden days was used as a hiding-place by smugglers and outlaws. By night the ghost of a headless horseman rides around it before galloping off to Callow Spong a mile away and vanishing. Although the water was very dark, locals often talked about dragging out the iron chest of money they could see just below the surface. One night two men from Southwood tried, and managed to hook the iron ring on the end of the chest. After hours of struggling with its weight it broke the surface, and one of them cried out "We've got it now, and not even the Devil himself shall have it!" At that, a cloud of sulphurous vapour enveloped the pool, a long black arm erupted from the water, grabbing the chest with claw-like fingers, and a fierce tug of war ensued. The Devil proved too strong, and the chest sank into the water, never to be seen again, and the men were left with only the iron ring from the chest. 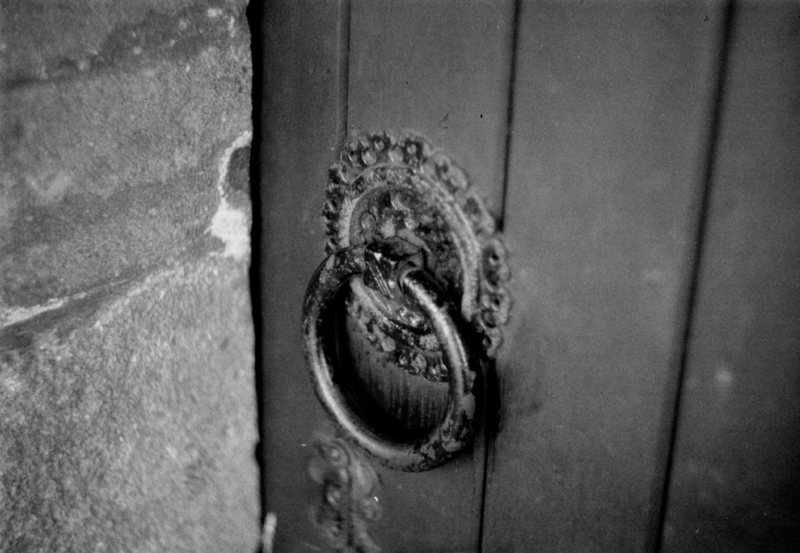 They took it home and fixed it as a handle onto the door of St. Edmund's church at Southwood, where it could still be seen as recently as 1890, but is now the door handle at Limpenhoe church. (See also Shouldham). 'Notes & Queries', 1 s. xii, p.487. John Glyde: 'The Norfolk Garland' (Jarrold & Sons, 1872), pp.70-1.